Our exterior shutters are designed to deliver a lifetime of elegant, maintenance free beauty at affordable low prices. They are an ideal accent for giving your home additional dimension. Because we are the factory, (all shutter panels are proudly built in Southern California, USA. ), our shutters offer virtually unlimited possibilities to express your home’s unique style, as we will make them to your exact specifications. You are limited only by your imagination. Your taste and how you feel about your home’s look guides you in your choice of shutter style. Our solid wood exterior shutters are made from solid kiln dried, rot-resistant incense cedar or western red cedar which is a very durable wood that is resistant to decay and requires little maintenance. This fine grained wood has natural tannins to help preserve its character. Other woods used for making shutters such as pine or poplar, do not enjoy such an advantage. Kiln drying is time consuming and expensive, but it is important because it reduces the moisture content therefore allowing less expansion and contraction, enhances durability and acceptance of finishes. Each shutter panel is hand assembled and individually built on site in our Southern California Facility. Hand sanding assures a smooth finish for each shutter once assembled, and will be delivered to you unfinished, sanded and ready for paint, stain or primed only. 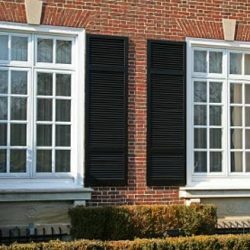 We Do NOT finish or install exterior shutters. We want to make your exterior shutter purchase a positive experience, because our fine shutters are likely to be a once in a lifetime event. 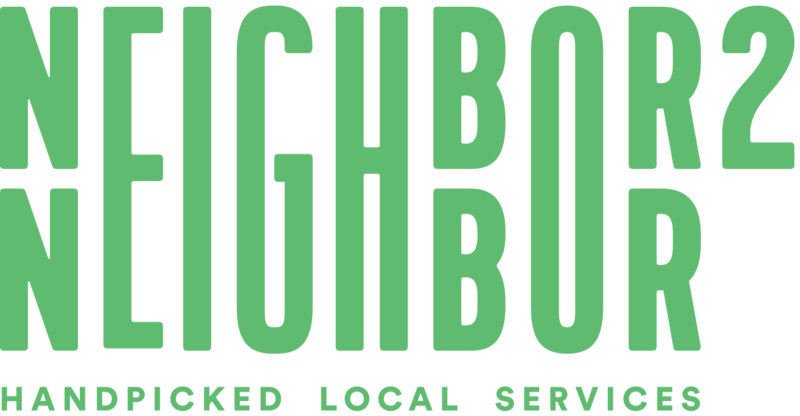 Remember, we’ve been around since 1966 so we’ve probably heard your situation many times before and most likely have a solution. We can ship our exterior shutters nationwide right to your house. How do you go from looking at beautiful shutters online, to looking at beautiful shutters on your home? We want to make it easy for you to get the beautiful shutters you desire. Call us at 833-201-4767 and talk to a shutter professional who can help you find the shutter that fits your house perfectly. Just follow the easy directions which will give you clear, step by step instructions for selecting, ordering and installing exterior shutters. And remember we are here to help, so call us with any questions you might have. 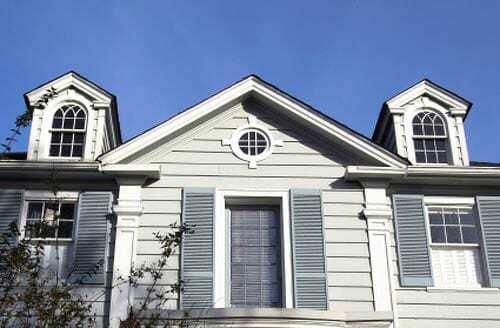 It is easy to order new exterior shutters or replacements to match or add to your existing. Just call our showroom 833-201-4767, or fax your order to 1-818-772-0490. 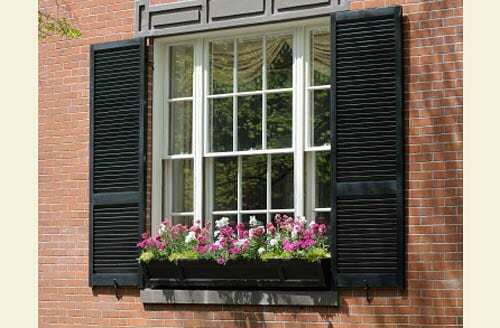 Whatever style you choose, correctly sizing the shutter to your window is critical! We will build your shutters to your exact specifications, so make sure your measurements are accurate. 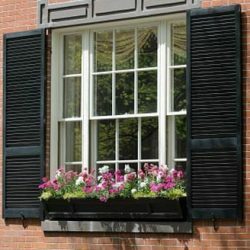 Whether your shutters will be functional or not, size them as if they would be. Measure the window on the inside edge of the casement, as if the shutters would be closed. This measurement is the “pair width” (equal to twice the width of one shutter). If your shutters will be functional, deduct approximately 1/2″ for clearance. If your shutters will remain open at all times, rounding off to the closest inch is acceptable. First measure the window width. Then divide the window measurement in half to determine the approximate width size of each shutter panel. Then measure the height which is the full height of the window opening. Most exterior shutters are fixed in place and are non functional and screwed directly to the sides of the window opening. They will not close, but they will add depth and character to your home’s elevation. They can be fully operable and functional with the use of exterior hardware. Note: For panels that will be fixed to the wall and non functional, an exact size is not necessary, however with functional panels, the panel size is critical and it may be easier to order the panels slightly larger and trim them on site for a perfect fit. Note: you can trim 1” from the bottom rail and 7/16” from each side stile. Should you need any guidance, we’ve provided some helpful ideas and information to get you started. 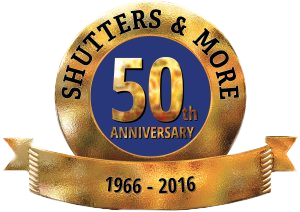 Our Shutter Professionals are always available to discuss any questions you may have. The finest, handmade wooden shutters in the world are just a phone call away. Although we do use wood and other materials that are suited for outdoor use, over time wood might be damaged by the elements, including sun, rain, abrasion, heat, salt, cold, or insects, and might warp, twist, dry, fade, crack or be subjected to other harm. For that reason, exterior wood shutters are subject to this Disclaimer and Limited Warranty. Shutters and More, Inc. dba Los Angeles Shutter Company (“Shutters”) warrants, to the original purchaser (“Purchaser”) only, that our exterior wood shutters will be free from defective materials and workmanship, when properly maintained and under normal use and service. Purchaser’s sole remedy under this warranty is the repair or re-manufacture of the defective product by Shutters. We reserve the right to inspect products prior to any repair or remake. Shutters will not be responsible for any repairs by another party. This warranty does not imply automatic replacement of any product. This warranty and all of Shutters’ obligations stated herein shall not apply to: (1) any improper installations, finishing or maintenance; (2) any progressive deterioration of finishes and materials due to sun, rain, abrasion, heat, salt, cold, insects and/or exposure to corrosive environments; or (3) damage by misuse, abuse, vandalism, accident, or act of God. Shutters reserves the right to repair or replace any product at our own discretion. 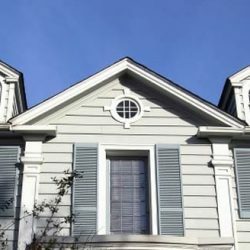 Shutters is not liable for the costs relating to removal of the exterior shutters and the re-installation, or damage to the window frame, glass or any other portion of the window surroundings. This warranty does not cover installation or removal costs. There is no express or implied warranty, representation or condition of any kind (including without limitation warranty of merchantability or of fitness for use) except for the express warranty stated herein, and no further warranty shall be implied by law. Shutters has no liability, whether in contract, in tort, under any warranty, express or implied, in negligence or otherwise, and under no circumstances shall Shutters be held liable for indirect, punitive, special, incidental, or consequential damages or losses that anyone may suffer or incur in connection with use of exterior wood shutters. This warranty is the complete, final and exclusive agreement of the parties with respect to the quality and performance of the exterior wood shutters and with respect to any and all representations related to the exterior wood shutters. No modification or waiver of its terms, shall be binding on either party unless approved in writing by both parties. This Disclaimer and Limited Warranty, and the rights and duties of the parties under it, shall be governed by the laws of the State of California. We can ship them to you. We are proud of our shipping history. We can ship our exterior shutters nationwide right to your house. Standard Size panels usually ship within 4 to 5 weeks. Standard size orders are shipped by UPS ground or FedEx ground. The packing and shipping charge is 8.5% of the order total cost (minimum $20.00). Oversized panels require a higher than standard shipping charge. Actual delivery times are determined by carrier’s schedules, so we cannot guarantee delivery dates, however, when your order ships, we will notify you by e-mail which will include tracking numbers enabling you to track your shutters on line. You can expect our high quality and service in your purchase and we encourage you to inspect your shipment upon receipt. 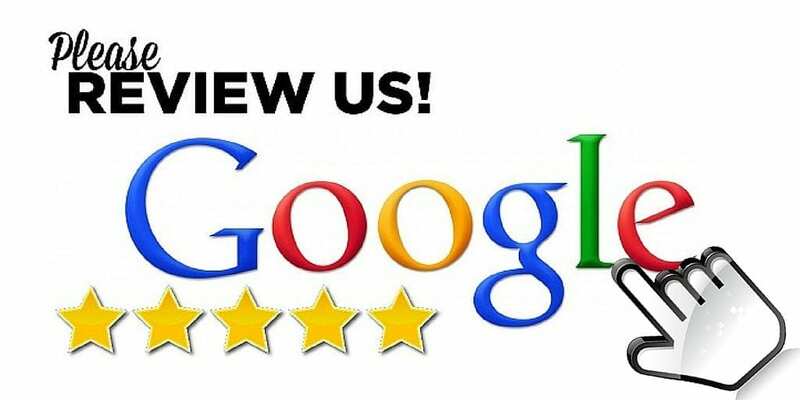 Once you receive our shutters, examine your purchase and double check that we have met your expectations. Upon inspection, you will notice an exceptional product, and you will be ready to install our shutters yourself. Ready to choose the exterior shutter of your dreams? 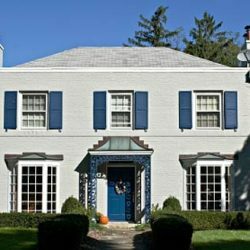 How to choose and order the right shutter for your project: Each collection offers several versatile shutter styles delivering a lifetime of elegant, maintenance free beauty. The fixed louvered panels are the most popular exterior shutter because they are universally attractive on most home styles, providing a timeless elegance with the crisp lines of louvers. They provide grace and style to this classic and traditional design. 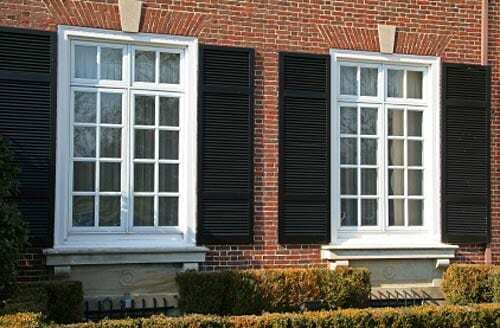 These elegant, solid wood, exterior shutters come in a variety of louver widths and panel configurations. Step # 3: Do you want a divider rail? Divider rails will be 2-1/4” x 1-1/8” for 1-1/4” fixed louver panels, and 3” on 1-3/4” fixed louver panels. All divider rails will be centered on the panel. That’s it. Now just call us and order. The raised panel shutter is very popular and adds depth and dimension to the exterior of the building. 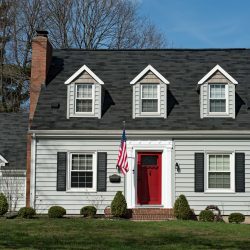 They offer a handsome, classic look for Georgian, Eclectic and Cottage style homes. They are constructed with a top rail, bottom rail and two side styles. All stiles will be 2” x 1-1/8”. The inside raised panel is beveled on all four sides which is inserted into a routed channel in the stiles and rails. A divider rail can also be inserted to create multiple raised panels within the shutter. The raised panels for the narrow shutters are made from the same cedar as the stiles and rails, however wider panels are usually made from MDF which weathers well, but these can only be painted, not stained. 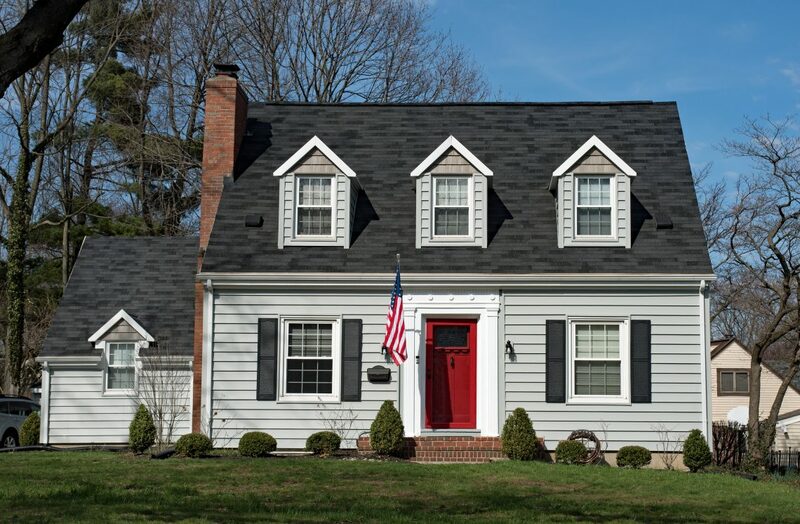 These shutter panels combine louvers on top and a raised panel below and meet the requirements of architects and homeowners seeking the utmost in unique style. They allow you the full creativity of combining design elements of our raised panel and louvers shutters. Step # 3: Determine what you want in the lower section of the panel? Raised panel or louvers? If louvers, what size louver from the 3 available sizes will look best? Step # 4: What do you want in the upper section of the panel? Raised panel or louvers? If louvers, what size louver? Step # 5: Will the panels be painted or stained. That’s all you need. Just call and order. The hearty Board and Batten shutters are traditionally used on barns, and is a magnificent choice no matter where your house is located. Choose either “open” or “closed” Boards and give your house a hint of rustic elegance. 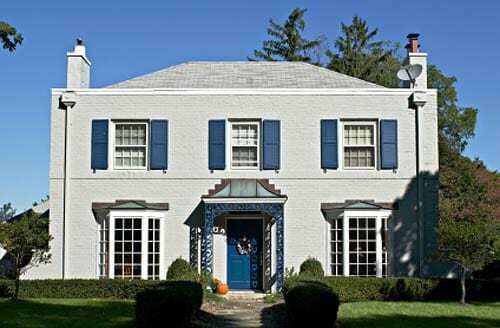 With their bold dimension and solid strength, the board and batten styles are classic standards for French Country, Cottage and Spanish style homes. They are frequently used on single-story homes, barns and cottages, and provide a "country" look. These shutters are constructed using wide or narrow plank vertical boards, with horizontal cross member called battens. The vertical boards are positioned side by side to created the desired width and can be tightly positioned (closed) or with a 3/8” gap between board (open). Note: The distance from the bottom of the panel to the bottom batten will be 5”. If you would like any cross member battens tell us when you call to order. 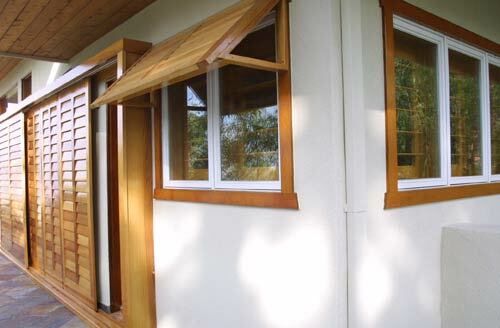 They were originally designed for the tropics and are often used for sun screening and moderate storm protection, where one shutter panel will usually cover the entire window. 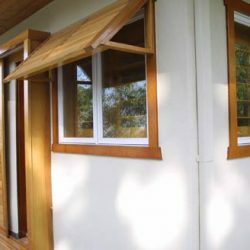 These shutters are hinged at the top of the window and open from the bottom and can be propped open with a support arm for visibility, while blocking out the intense UV sunlight that can damage the integrity of your home’s interior, but will allow the soft ambient light and refreshing breezes to pass through. They feature beautiful functionality and authentic Caribbean style with a touch of quaint tropical charm. Step # 2: What size louver of the 3 available sizes will look best with your home?